Fill out our simple form and get quotes from local videographers. 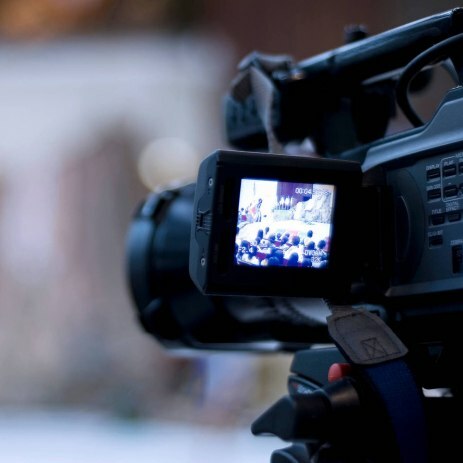 A professional videographer will capture your event on film and produce a video to tell the story of your event. Whether you want a natural representation of the day or a contemporary production that really showcases your event, let us help. Find videographers in your area here. With a studio based in Knebworth, Hertfordshire. Our small green screen studio is surprisingly versatile. For brides and grooms, hiring a wedding videographer is the ultimate way to capture the important moments of your special day. However, videographers can play a vital role during corporate events and conferences too. Perhaps you need to interview key speakers, or capture the day’s events to help showcase your brand. Have an experienced videographer capture these moments and produce a professional film of your event. With the appropriate equipment and software as well as skill and understanding, a videographer will bring together your day in an impressive film for you to remember and share. Find videographers in your area by completing a free quote request form.